Conservative MP Peter Penashue resigned his Labrador seat Thursday after admitting to accepting $27,850 in 28 illegal donations and claiming it to be a mistake of one of his volunteers. 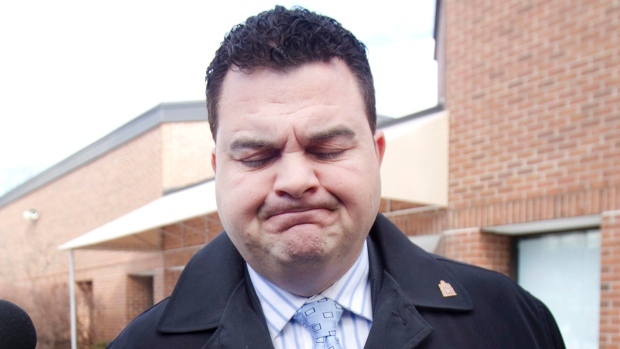 Penashue is being investigated by Elections Canada and a report will be released shortly. Based on recent findings, this electoral scandal goes up the Tory hierarchy. Penashue intends to run again and a veteran Liberal is ready to take him on. Penashue has repaid the $27,850 in illegal contributions which revised campaign spending reports released on Friday state break down to $18,710.54 from Provincial Airlines and more than $5,500 from a construction company, Pennecon. In addition to the illegal corporate sponsors, Penashue’s brother-in-law granted his campaign an interest-free loan, which is illegal in Canadian election law, of $25,000 when he was running the Innu Limited Development Partnership. However, putting all this money aside, it turns out that but it turns out an additional $44,350 was transferred in several instalments from the Conservative Party to cover the other debts starting last November. Penashue claims he is uncomfortable with what happened and that he did nothing wrong because he didn’t know. Well, it is his campaign and he is going to be an MP so he should have the proper conscience to oversee his campaign and make sure that all actions his campaign team takes fall in accordance to Canadian Election Law. Not knowing, simply isn’t an excuse. “What I saw, I wasn’t pleased. So I thought that the best and appropriate thing to do was to resign,” he said. “I haven’t done anything wrong because I didn’t have any knowledge to it,” he added. Stephen Harper has six months to call a bi-election and Newfoundland and Labrador MHA Yvonne Jones plans to go for the Liberal nomination to run against Penashue. This scandal comes as the Conservative Party faces scrutiny for other election-related irregularities, notably allegedly sending misleading robocalls to over 200 ridings including a handful that came very close to the wire. Penashue should have been responsible during his campaign and followed the rules to the book. Not knowing and inexperienced volunteers are not valid reasons for mistakes that break Canadian election law. 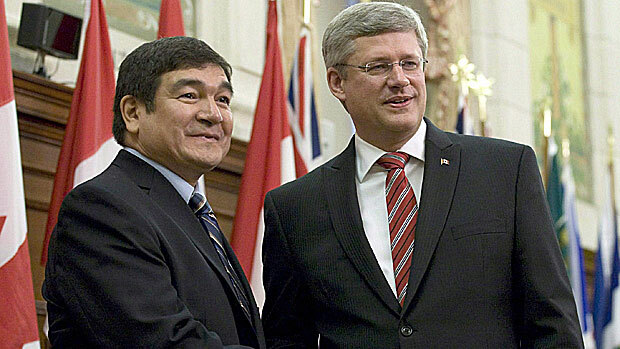 What do you think: Should Peter Penashue be given a second chance in Labrador?